Length 22-27 mm. C. aurocinctum has the entire upper side of the body of a bright green color; moreover, as the name suggests, it is well characterized by a purple or golden green border along the lateral margin of the elytra. From C. scrutator , that has similar color pattern on the elytra, C. aurocinctum can be distinguished by its pronotum that is narrowed behind with sparse punctures at its base, of an uniform metallic green color, sometimes with a slightly lighter border. C. aurocinctum is basically a Mexican species. In Mexico it spreads throughout the whole country except in the far north, but appears to be more common in the eastern part of the country facing the Gulf of Mexico. It penetrates into Texas where it is found in the ending portion of the Rio Grande, along its left bank. To the south it is unlikely that C. aurocinctum goes beyond Mexico. Gidaspow (1963: 283) had indicated the presence of this species in Nicaragua even though without specifying any locations. It has recently been cited again from Nicaragua on the basis of the uncertain determination of some remains found in the faeces of a gray fox (Muñoz & Maes, 2015: 5) but this quote must be corrected and such remains should be attributed to C. scrutator (Van Den Berghe, 2016: 6). Notes: C. aurocinctum is winged, diurnal and nocturnal, attracted to light at night. sometimes very abundant in coincidence with the hatching of the caterpillars of which it feeds. It is found in various types of habitats, such as grasslands and groves. Active individuals were found mostly during the raining season from May to August. 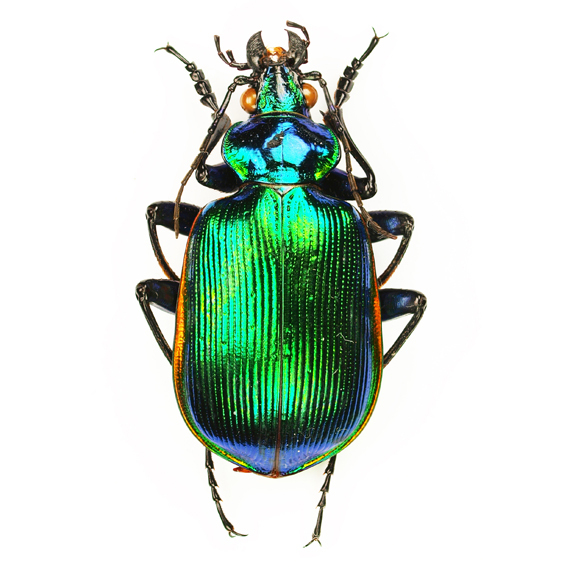 Perbosc (1839: 261) had incorrectly identified some specimens of this species with Calosoma splendidum (Dejean, 1831), aiming to integrate the original description. 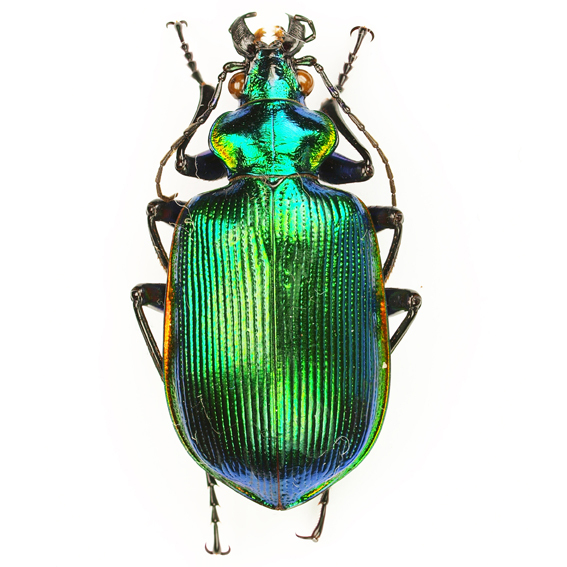 For this reason Calosoma aurocinctum is often cited as if it had been proposed by Chaudoir as a replacement for Calosoma splendidum Perbosc, 1839 (nec Dejean 1831). 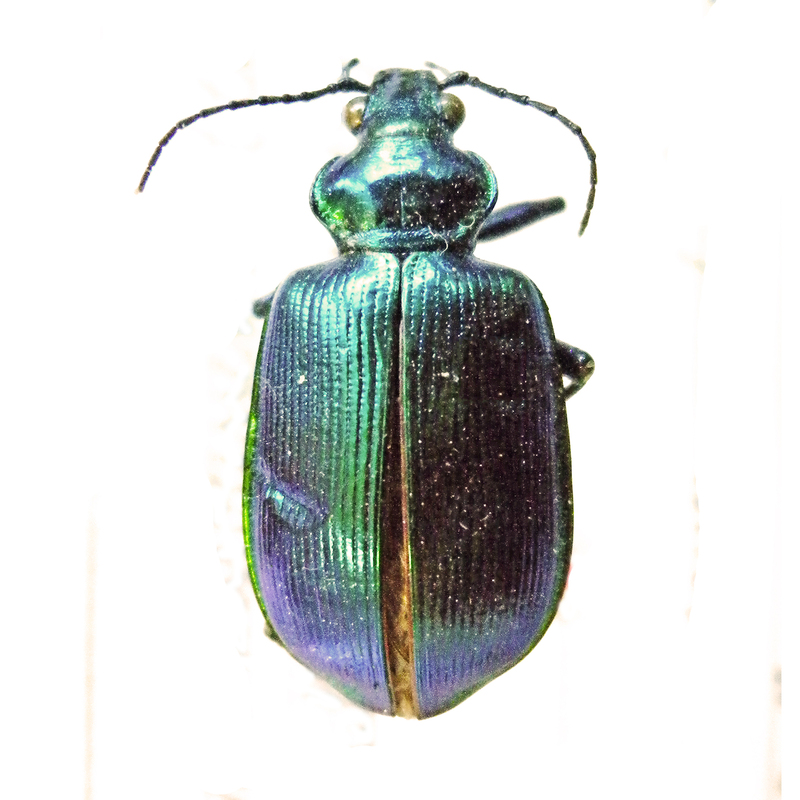 However, Perbosc attributing his Calosoma splendidum to Dejean did not propose a new species.